*The following information is available in a separate document for you to Download. We recommend printing this information and referencing it as you prepare for your interview. 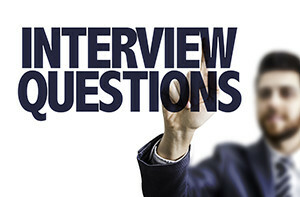 We have also compiled the Top-2o Interview Questions with suggestions on how to answer them. After your interview, please remember to send a Thank You letter. We have all, at some time in our lives, been subjected to an interview conducted for the purpose of getting a new job. An interview is a conversation between two people who are seeking a common interest. But they can be stressful and intimidating because so much is riding on the outcome. Since General Placement Service has been instrumental in arranging and coordinating these interviews for 30 years, we have gained some knowledge about the process, and why some employment candidates are more successful than others. Please review our notes. The more one knows about the company and its operation, the easier it will be to plan an interview strategy. You will be able to learn a great deal about a company by listening in detail to the job and company description by our Account Executive. Further, utilize the internet (or our Industry Information links) for industry newsletters, articles and industry performance publications to learn the statistics and accounting for a given company. And finally, talk to your friends and acquaintances in the business, confidentially or otherwise to learn what is known by others about the company. DO NOT LISTEN TO NEGATIVE COMMENTS OR RUMORS. During the pre interview preparation, you should develop an outline of the points of interest that you want to establish. Obviously, the tone of the interview will be set by the interviewer, and you will need to be flexible. But having a strategy is important because you will always be given an opportunity to express yourself and your interests, and to sell your abilities. You can even write the outline on a pad. Feel free to bring it and refer to it during the interview. Develop the outline after reading this report, and discussing the job with your Account Executive at General Placement Service. Interviews can be structured or unstructured. Structured interviews have a set of prepared questions asked in order, where the interviewer is seeking short answers and little conversation. An unstructured interview is a conversational series of open-ended questions designed to elicit longer detailed answers. Determine which type is being used and answer accordingly. Watch for reaction to determine if answers should be shorter or longer. Look for ways to incorporate your planned answers into the conversation, and be sure to keep the conversation flowing both ways. Listen carefully for clues about skills needed for this job and without exaggerating, fit yourself into the position. Be honest. Be cheerful. Do not be negative. Do not appear to be a “know it all”. Be confident but humble. If you do not know the answer to a certain question, say so. First, be aware that all candidates for employment have some degree of nervousness, especially in the beginning. Preparation for the interview, and having an interview strategy, as discussed above, are the best ways to reduce the initial nervous feelings. When planning your interview, practice positive thinking, believe that you are the best qualified person for this position, and be confident of your abilities. Deliver your prepared answers the way in which you practiced them. Do not ask about vacation, benefits or salary until the end of the interview, if at all. Our Account Executive can discuss in more detail, how this subject is to be handled. Answer questions in a conversational way. Try not to memorize answers. Structure your answers to show that you are a team player, will last a long time on the job, are likable and capable of performing well in this job. Responses should be specific. Avoid generalities like “I am a people person”, or “I enjoy working with people”. Constantly reaffirm interest, especially after the job is described. Look out for “zingers” – questions designed to throw you off guard. Sometimes it is better to answer quickly rather than stumbling for the right answer when none exists.